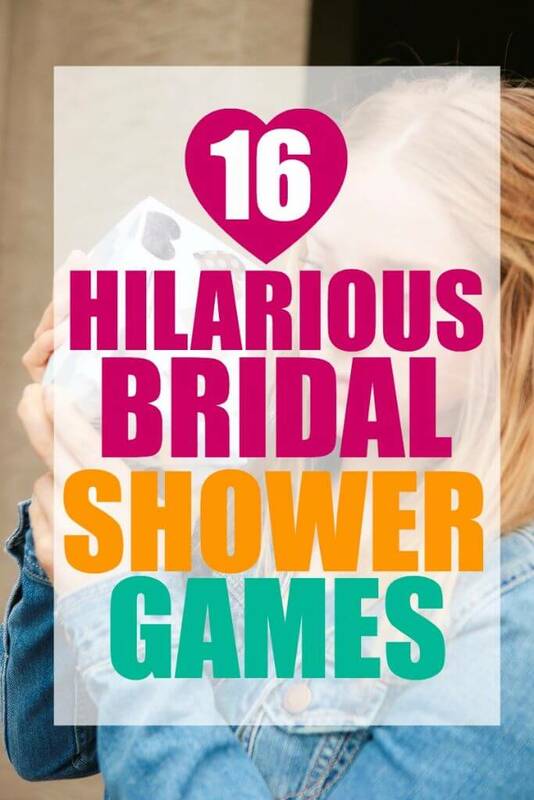 These hilarious bridal shower games are ones that all of your guests will love! 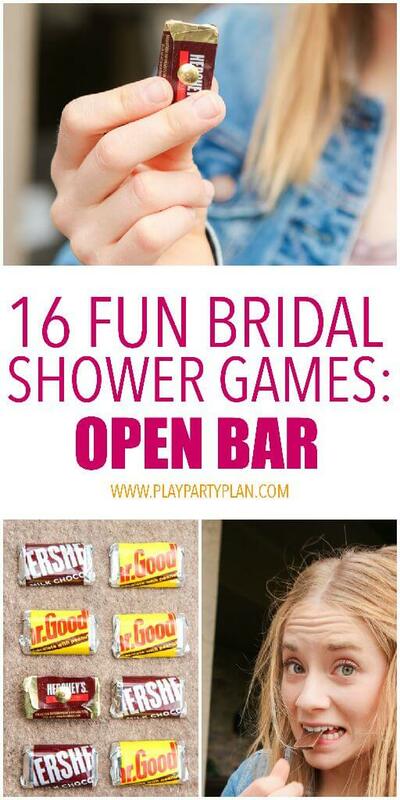 Definitely some of the most unique and fun bridal shower games out there, including ones you’ve probably never played! 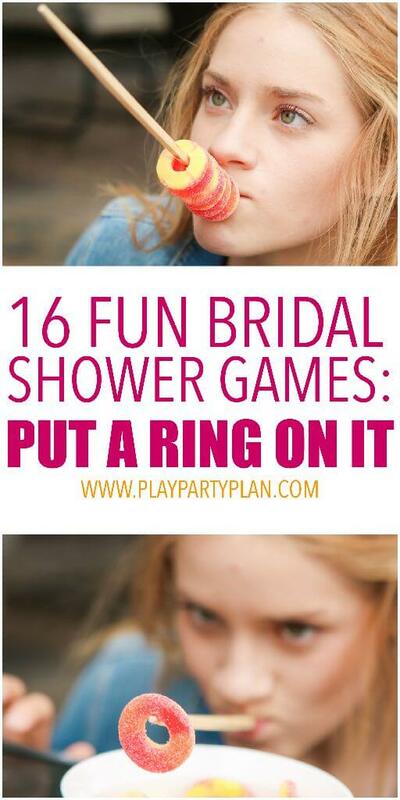 Forget the free printable bridal shower games and try these ones out instead. These bridal shower games are ones I put together for my little sister’s bohemian bridal shower, right before her beautiful bohemian wedding! 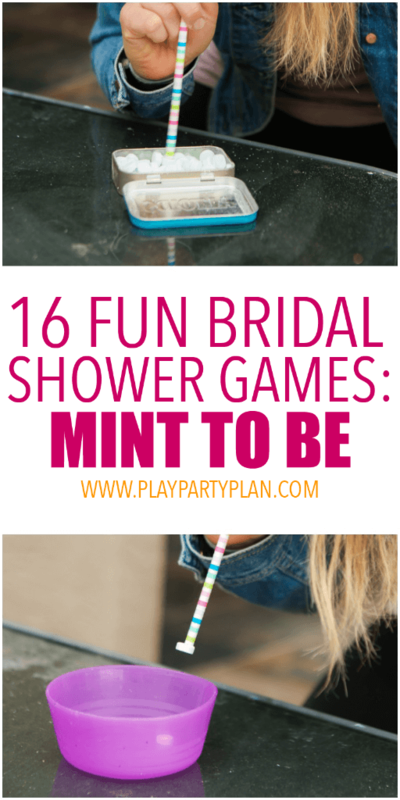 We’ve always been a creative and game playing family, so I wanted to come up with bridal shower games that people had never played before! These wedding shower games are ones that no one in the room had ever played before! And I dare say, it was the best bridal shower ever. 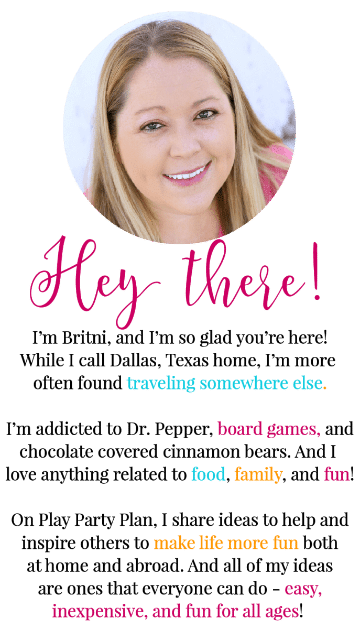 We paired these fun bridal shower games with this printable bridal shower game called love story and had one incredible afternoon. All of these games are Minute to Win It style games and depending on the number of guests attending the event, there are three different ways you can play them. You choose. No matter which way you choose, I guarantee they’ll still be fun. And I’ve designed the games so that they would work for a coed shower if you want to celebrate the bride and groom all at the same time! Style #1: Man vs. Clock – In this version, one player will be trying to beat the clock for each game. So for instance, they will have to try and get the task accomplished before a minute run outs. If they do, they win a prize. If not, let someone else have a shot. If you go with this style, I recommend choosing a different person for each game. Style #2: Head to Head – In this style, you’ll pick two players for each game who will going head to head against each other playing a game rather than trying to beat the clock. So you’ll give each person the items necessary to play the bridal shower games, and they’re compete head to head. The first person to finish wins the prize. Again, rotate through pairs for each game, repeating players as necessary. Style #3: Team Competition – In this style, you’ll split your group into two (or 3 or 10 depending on the number of guests) teams. For each game, teams must choose one player to compete head to head in the game with the other teams. So for instance, each team will be given supplies and the first team to finish will receive 10 points, the second team will receive 5, etc. This works best if you have quite a few people and is a good way to get everyone involved cheering for their team. For my sister’s bridal shower, we did a team competition as you can see in the video showing a few of these fun games! Player has to hold the chopstick only with their mouth. First player to get 10 rings on their chopstick wins. on the floor in front of them. First player to toss, fling, or otherwise throw the garter and have it ring one of the sparkling cider bottles wins. Write down the names of husbands of famous married couples on index cards (e.g., Ryan Reynolds, Ryan Gosling, Tim McGraw, Keith Urban). Players have to pick a card then act out the WIFE (not the person on the card) in charade form (no words, just acting). Go through as many as you can in one minute and person who gets the most in a minute wins. Don’t you just love my little sister’s acting out of Blake Lively (star of Gossip Girl) and Nicole Kidman in Bewitched? on the bottom. Then lay them all out in either lines or in a group flat on a surface. 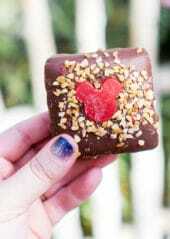 To play the game, players must pick one mini candy bar and if there’s not a gold sticker, eat it. Players have to continue picking candy bars and eating them until they find one with a gold star. This is best played as a team game. At one end of the room have a bowl filled with rice and on the other side of the room an empty cup or small jar. 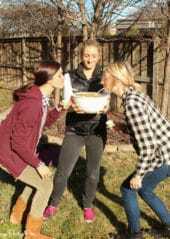 Teams must race to transfer the rice from the bowl, passing the rice hand to hand, to the other side of the room and into the small jar. First team to fill the jar wins. 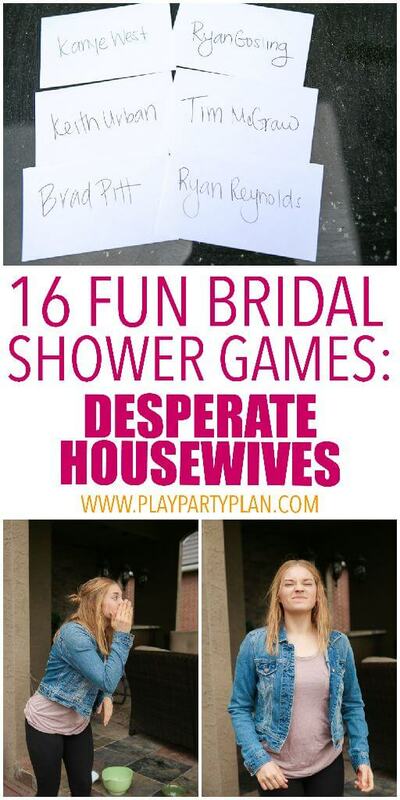 This one makes one of the best wedding shower games since rice is such a big wedding tradition! Before the party, ask the bride for a couple of important dates in her life (e.g., first date, first kiss, date he proposed, his birthday). For this game, cut out the months of the year as well as the numbers 1 – 31 and have them sitting on a table. For each round, tell the players that they have to be the first one to come up with the correct date by picking out a month and day and running it to show the bride. The bride tells them correct or earlier/later and they have to continue running back and forth from the table with the calendar dates to the bride until someone gets it correct. You can either do this once or a number of times with various dates. and keeping it sucked up until they can place it in the jar. Race to be the first to a certain number or see who can do the most in a minute. Be the first team to unscramble all of the movies on this free printable game full of different ways to say classic movies (e.g., daughter of a king getting married = princess bride). Or if you prefer songs, try out this free printable love song version to unscramble popular love songs (e.g., a tale about romance = Love Story). 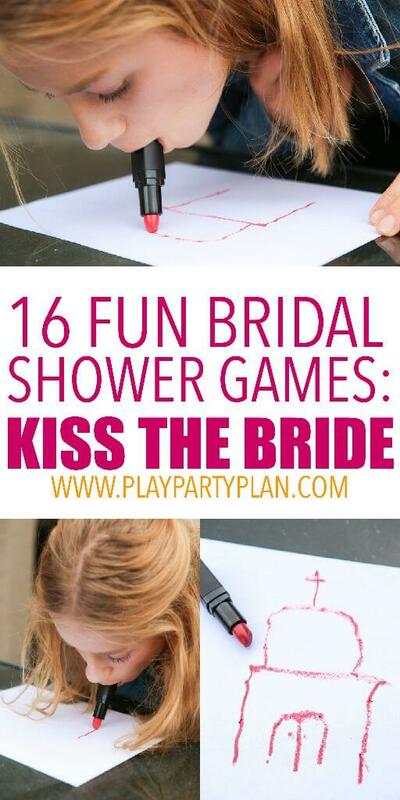 This is one of the most fun printable bridal shower games I’ve played at a bridal shower! into knots as they can with their tongue, either in a minute, or compared to their competitors. This is one of the games that would work as great bachelorette party games too! Purchase a handful of wedding related items or items off the bride’s registry (and give them to the bride after) and make sure you know exactly how much each one costs. Players must race to put the items in the correct order from highest to lowest price. Either time them and see who can do it in under a minute or see who can do it the fastest, no matter how long it takes. Either way, I’d let someone do it first and then have the other player come in next so they don’t get any hints. across the room to see who can knock down their stack of cups first. Alternately, you could tape down one champagne glass per player and have players try to be the first to bounce a ping pong and land it in the cup. that they can only hold in their mouth. You can do this one of two ways – either have one person draw and try to go through as many as they can in a set amount of time like a minute or you can have multiple people trying to draw the same thing to get their team to guess first. Either way is hilarious. 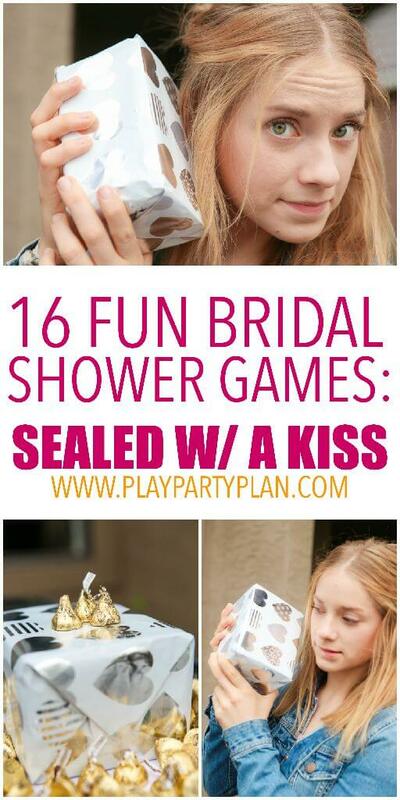 And this one is at the top of my own personal bridal shower games list!
. Allow them to put the items in front of them so they know where they are then blindfold each player. Player has to create a “cake” out of plastic cups – meaning stack the cups 4 – 3 – 2 – 1 and then place the cake topper on top of the cups without knocking over their cake. First player to do it or player to do it fastest wins. including lipstick, blush, eye shadow, etc. and then blindfold them. Player has 1 minute to give the picture of the bride a makeover blindfolded. Bride chooses the best makeup job. so that they each have a different number of kisses inside from 1-10 then wrap the boxes in cheap wedding wrapping paper. Player must shake the box to listen to the kisses inside and put them in order from the least number of kisses to most. inside. Players must compete to be the first to get all of the rings out of the bowl of freezing water using just their feet. « The Ultimate 4th of July Party Planning Guide – Games, Food, Decorations, Hacks, and More! Instead of placing a bunch of things on a tray for guests to remember and write them down, I bought an apron for my daughter and pinned a bunch of household items to it from top to bottom and all around. I.e. Stir spoons. Spatula. Tide stick. Batteries. At the end she kept everything on the apron. We also pinned a dish towel over the vaster so when she was standing there being beautiful. She lifted the dish towel. Everyone roared. we played the same game but for a baby shower also. but change 1 thing. your guest think they need to remember what is on the apron or the tray but after the person show them all the things have that person with the tray or apron leave the room, then ask your guest what she was wearing. the 1 with the most wins. it is great! Thank you for these wonderful ideas. I picked several I know will be fun for the ladies at a small shower and will keep the evening moving. Grateful for all these ideas. Did you find what you needed Pam? We live in an assisted living for seniors. One of the workers here is getting married. We will have fun playing some of these games. We plan on doing some in groups, it will be fun to see the difference in ages playing the games. 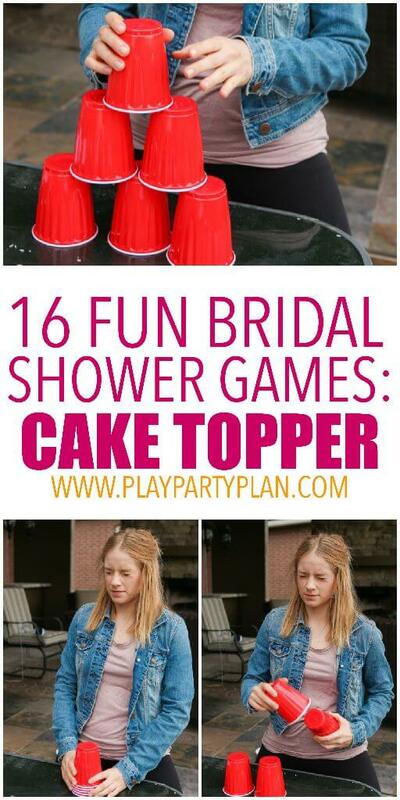 looking for easy bridal shower games that involve a large group of ladies. Hosting a shower party with about 40 guests. We played these games with a large group of women of all ages, and they loved them! Same here. The games look fun, but how to do it with 40 people? You could modify some. The makeup you could use crayons instead of 40 sets of cheap makeup. You still need 40 blindfolds., and 40 clipboards or something for them to write on. Doing it as teams works for some games. You just need to have a lot more prizes for each game. When we have a big group of people, we typically split into teams Lyvega and one person from each team plays a game and competes for points for their team. Add the total points each team wins up at the end and pick one team to be the ultimate winner. More details on how I do this here –> https://www.playpartyplan.com/minute-to-win-it-games-for-kids. These are hilarious! I am having a 50th birthday party – ancient greek/roman toga party and will use the bowl with ice water & the rings as a game to pay homage to the Olympics! It’s gonna be good! 3 dudes 2 girls – it should be fantastic! Lol! Thanks! That sounds awesome! I have a bunch of Olympic party games too if you need them, they’re here –> http://www.playpartyplan.com/go-for-the-gold-party-games/. I have never posted a comment before on ANY site but I felt I needed to let you know how fantastic your ideas are!! 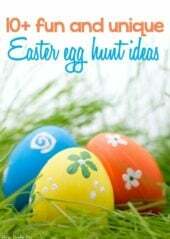 I have scoured the Pinterest and the internet and everything is old, boring and lame. Your ideas are all new and sound SO fun!! I’m trying to plan a shower for my niece who is NOT girly at all and hates attention on her, so this is a great resource. THANK YOU SO MUCH!!! Awww thanks Jill, you just made my day!